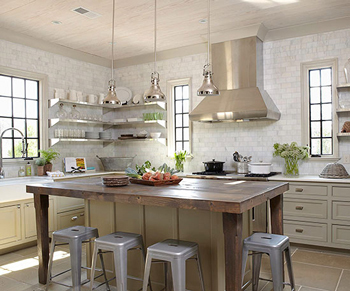 It is a dream for many homeowners to have a spacious kitchen, but like a dream, it is unattainable for most. In fact, in the age of urbanization where living space is on decline and land prices are increasing, not everyone can afford to own a place big enough to house such kitchen. An important element of interior design, colors are not just something for expressing your personal taste, but they can help you create a desired space when used with a right scheme. 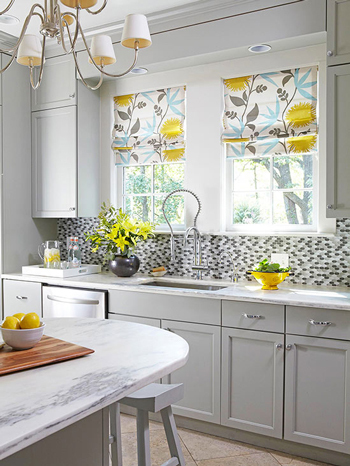 Particularly, light and bright colors such as white and the pastel tones of blue, yellow, green and pink can make your kitchen look big and airy. 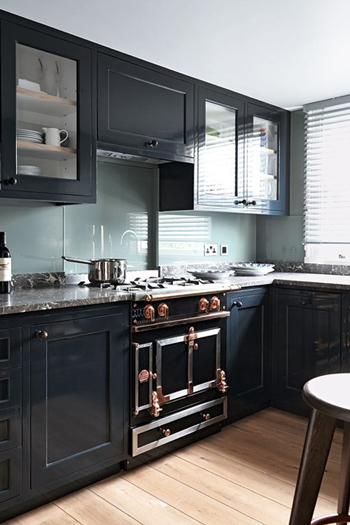 Dark colors, on the other hand, can make it look packed, despite evoking a cozy feeling. Once you choose the right color, do not go for a stark contrast to show sophistication, since it will only highlight the limits of your space. 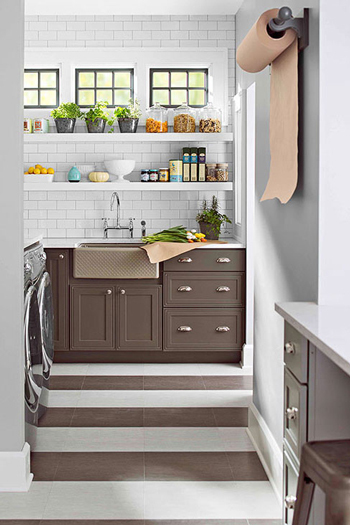 Instead, many experts said, you should go with a monochrome scheme, meaning painting walls and cabinets in different tones of the same color. Effective tools for creating an optical illusion, glass and mirrors can make a space look bigger. 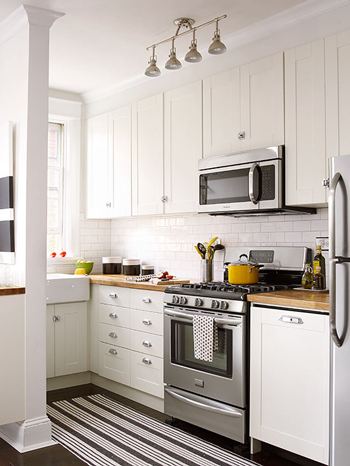 A mirror on a wall or cabinet glass doors, therefore, will be able to visually expand your kitchen. For the same effect, you can use high-gloss laminate or acrylic materials for cabinet fronts, or stainless-steel appliances. 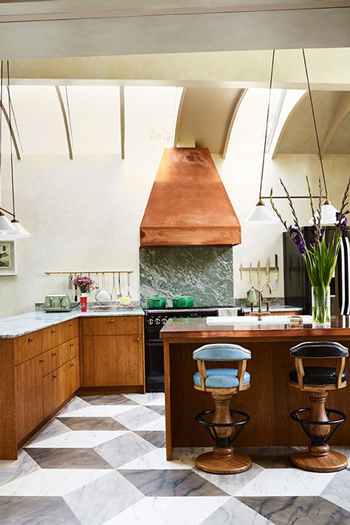 These mirror-like surfaces will also be stylish and luxurious touches for your kitchen. Another common optical illusion is that when looked vertically (up and down) a space will be deceptively bigger than when looked horizontally. And, you can draw people’s vision in the desired direction with recessed lights on your kitchen’s ceiling and walls such as LED lights of Häfele’s LOOX, or pendant lights above the island or table. 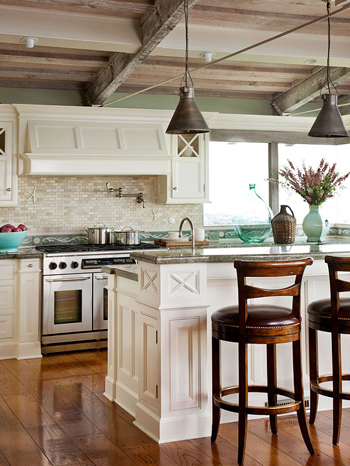 Open shelves will too help make people look upward when entering your kitchen. Aside from functional and frequently-used objects such as plates, bowls and utensils, you should display decorative items, including flower vases and cookbooks, on the shelves to make them more attractive. 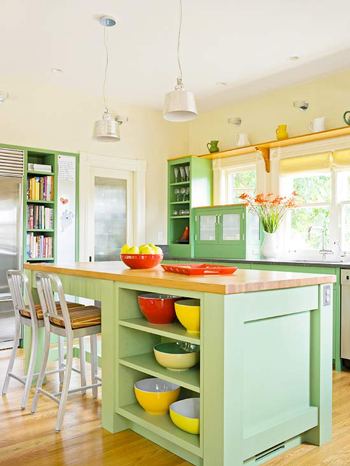 One thing to remember when you go for open shelves instead of wall cabinets is that your kitchen’s storage will be reduced. 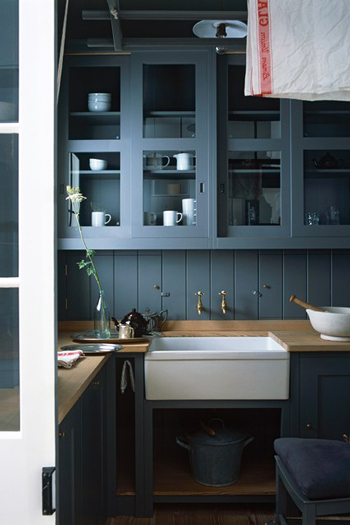 However, you can make up for this shortfall by beefing up base cabinets with storage fittings. Corner fitting LeMans II, for instance, will allow you to optimize cabinet corners to store tableware and kitchenware. 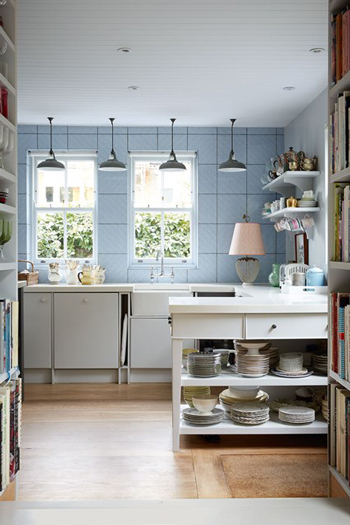 As a rule of thumb in decorating small spaces is “simplicity is the best”, you should keep things simple in your kitchen by, for instance, using plain cabinet fronts and decluttering. However, when it comes to flooring, large and geometric tiles will help you play tricks on people’s vision. Built-in and sleek appliances like the products of Häfele’s ICONIC range will not only save space but keep your kitchen tidy. Similarly, you should ditch bulky furniture like bolstered armchairs, and choose furniture with small footprint such as barstools and bistro chairs, instead. 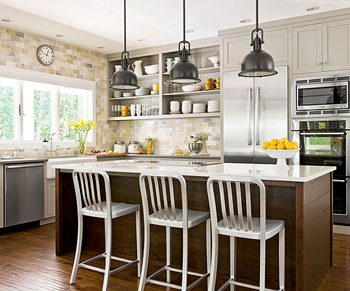 Hopefully, applying these tips, you will be able to have your dream kitchen, however small it is!